Since 2015 will be my first full year of living in my own home as an adult, I set a goal for myself. And it's way more fun than most of my other goals! 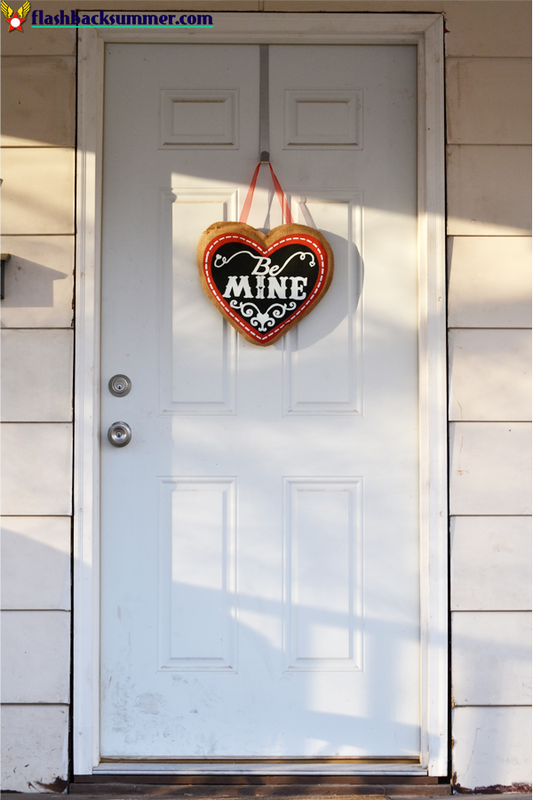 This year I will work on building my home decor by getting a tablecloth, table centerpiece, and something to hang on my front door every month. This way I can build my stash of holiday and seasonal decorations. I was raised by a mother that excels in seasonal decor, and when we moved I found setting up these decorations each season or holiday to be an easy way to make a new place feel like home. Since it looks like Jacob and I will be moving around a lot in our lives, I wanted to carry on this tradition in my own home. Home decor can be expensive, though, so instead of trying to go all out every month, I'm starting with the decor "foundations" of a door hanger, tablecloth, and centerpiece. I can build on it in the years to come. With that in mind, I didn't blog about January, though I did meet the goal. Sorry about that. 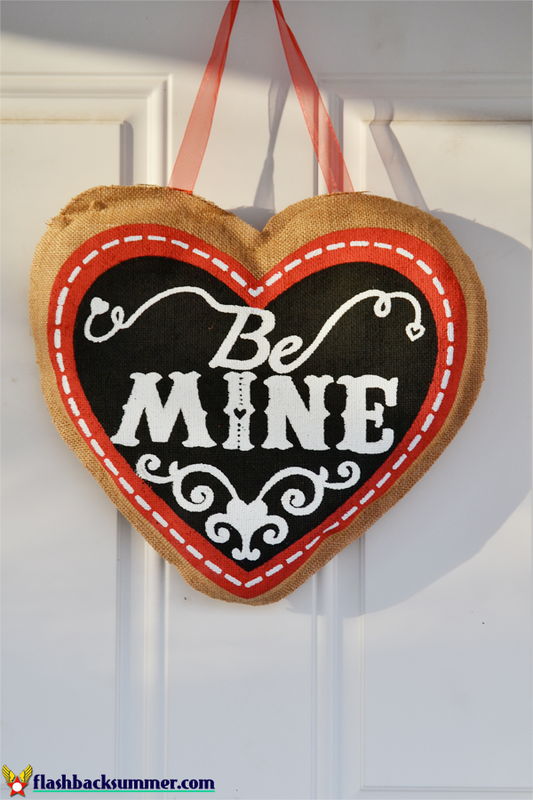 However, I DO have February/Valentine's Day ready for all of you! 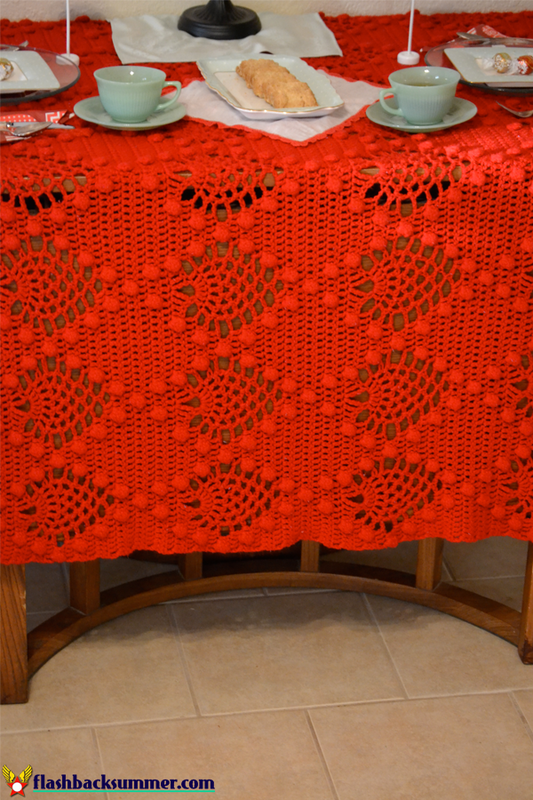 The tablecloth is actually a thin crocheted blanket, but I liked it for the heart-like pattern on it. However, I didn't think about the nubbiness of the stitch being a problem when putting dishes on it... so this may go back to being a blanket and I may hit the after-holiday sales to find a new tablecloth. Pardon the dirty door. It's frigid out and I really don't want to think about holding a wet rag outside. 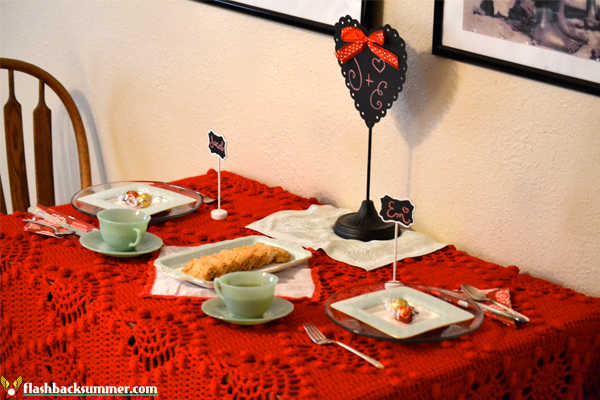 I got the door hanger and several table items from Hobby Lobby, and I also pulled out my Royal Albert Polka Rose china and new jadeite cups Jacob gifted me with. My jadeite collection has finally begun! P.S. It seems my normal camera lens needs repaired, so if my pictures look a little weird for a while... It's because I'm standing 20 feet away from them with my zoom lens. I'm making it work for the time being! 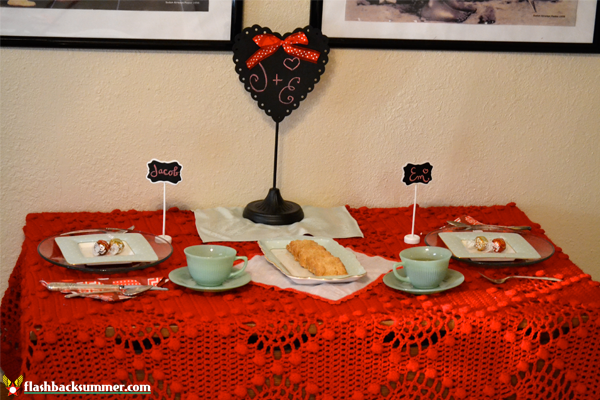 Very cute tablecloth! I have a Halloween tablecloth year-round, orange and black plaid circular with a black lace trim. The year before last, I also had my Halloween placemats on the table some months past Halloween. I even use a Halloween-themed template for my blog every October and into November. Ooooooh, the jadeite is amazing!